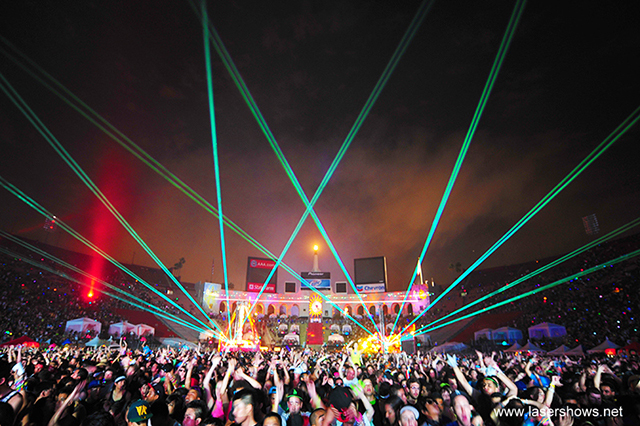 The Electric Daisy Carnival, a multi-day event that attracts hundreds of thousands of EDM fans. 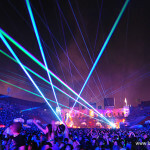 The massive outdoor crowd and some of the biggest international names in electronic music are highlighted by the Lightwave International's powerful full-color lasers puncturing the sky and illuminating crowds. 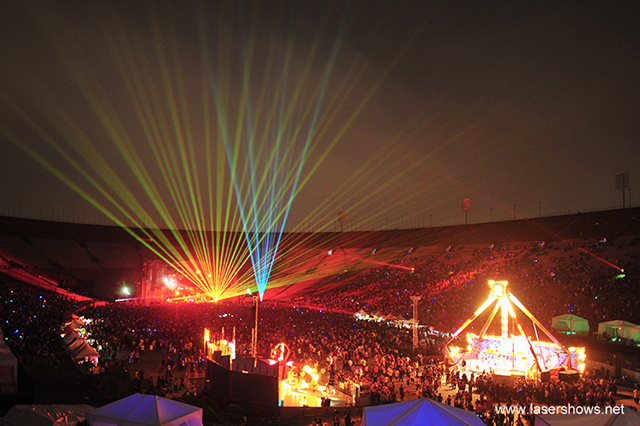 LA Memorial Coliseum & Exposition Park is a huge outdoor venue that was built to house the Olympics. 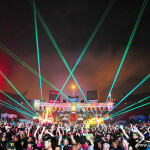 The Electric Daisy festival environment was complete with five areas of music, carnival rides, art installations, drum circles, aerial performers, a vendor village, and an array of other festival amusements. 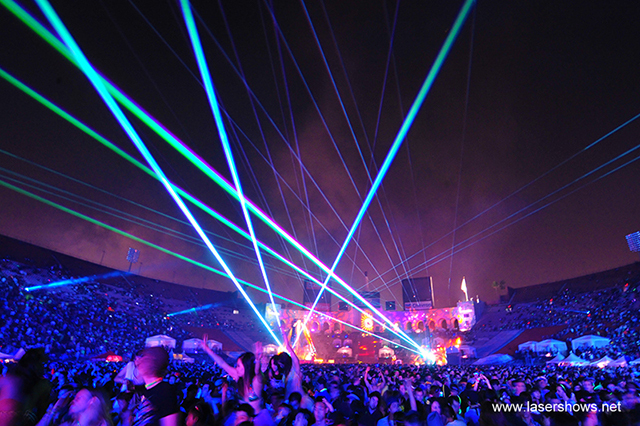 The artists present represented many areas of electronic music, including Paul Okenfold, Groove Armada, Paul Van Dyk, The Crystal Method, Fatboy Slim, Thievery Corporation, Andy C and many more. 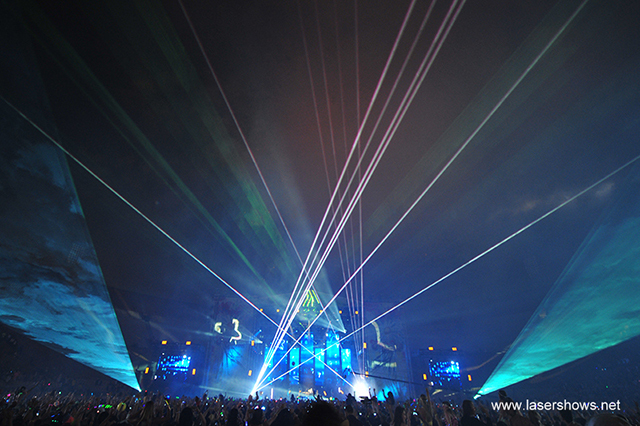 Lightwave laser lighting was used when the sun went down, dazzling main-stage audience members and drawing density to the crowd. 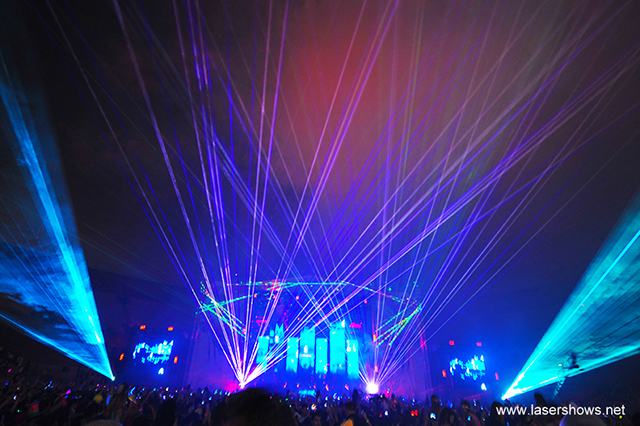 Six full-color lasers (four on stage, two at delay tower locations) totaling 64W of output power were used. 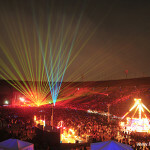 Control was done by a live operator on a full-size grandMA unit with Lightwave Laser Servers. 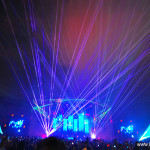 The lasers added such an overwhelming visual element to the event that the local authorities required they be disabled at one point, stating they were drawing in more people than venue fire codes would allow. 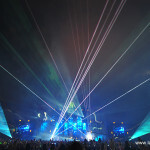 With 90,000 attendees on its second day, the festival is in the rankings as one of the most attended single day festivals in the history of the United States.